Llama antibodies are different from ours. Our antibodies are a mix of two pairs of proteins, heavy and light, wrapped around each other. Llamas, camels, and sharks all use only a pair of heavy chains. Because they are smaller, they can wedge into molecular crevices that our larger antibodies can’t access. Perhaps that’s why scientists based at The Scripps Institute decided to use them as a basis for flu protection. 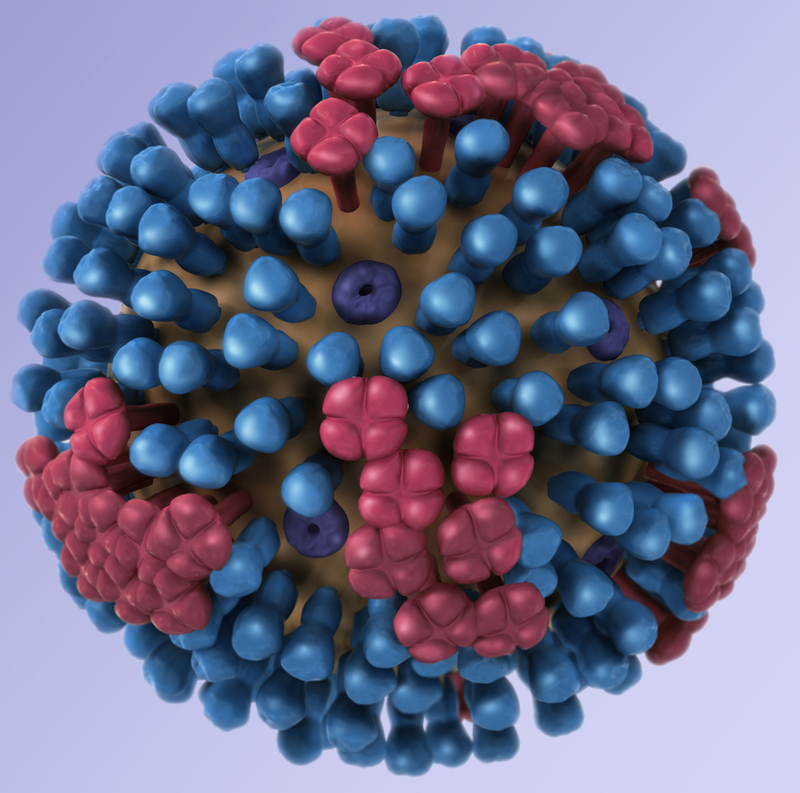 There are four types of influenza viruses, creatively termed A, B, C, and D. Influenzas A and B are responsible for seasonal epidemics in humans, and influenza A is the one that causes pandemics. Influenza A viruses are further divided into subtypes based on two proteins on the surface of the virus: hemagglutinin (H) and neuraminidase (N). There are 18 different hemagglutinin subtypes and 11 different N subtypes, leading to nomenclature like H3N1. Current flu vaccines generate antibodies to the head of the hemagglutinin protein, which is highly variable. This is why we need to get a new shot every year: it ensures we make antibodies that bind to and counteract the strain in circulation that year. Broadly neutralizing antibodies that recognize all forms of hemagglutinin have been made and tested, but they don’t combat influenza B, and they don’t last for very long in our upper airways.